If you have a project with a solution for visual studio, renaming the project, will not affect the code from compiling correctly the module. right click on the project and click Show in Explorer. 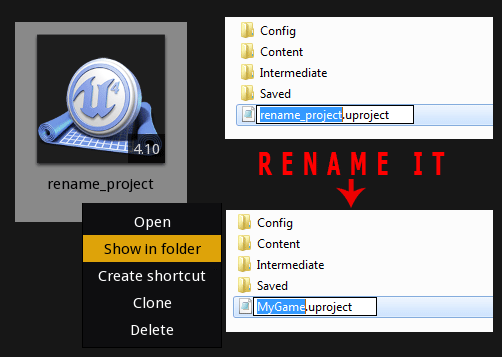 The name of your project should appears correctly after the reboot of the UE4 launcher.